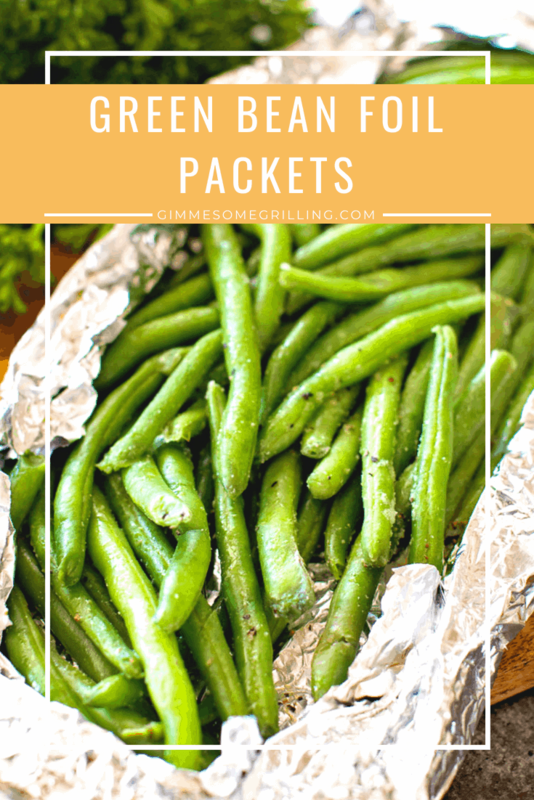 These Grilled Green Beans Foil Packets are the perfect quick and easy side dish on your grill! 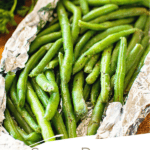 Grab your fresh green beans, season them, wrap them in foil and you will have a delicious, healthy grilling recipe everyone will love! 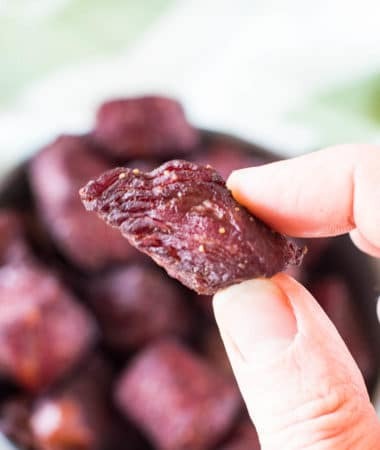 Without a doubt you’re going to love this tasty side dish! Green Beans on the grill, yup these are tasty! Plus, they are crisp tender. 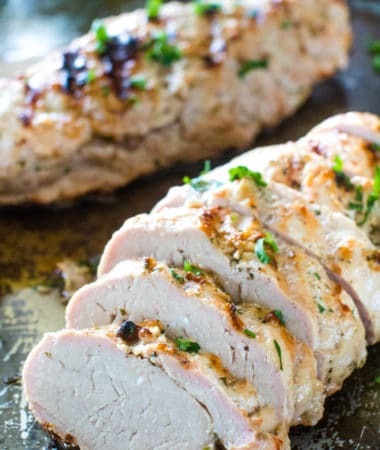 When developing this recipe I didn’t want them to be chewy and grilled to death. By putting them in a foil pack they steam more than anything and it gave me the result I was looking for. Delicious, crisp-tender green beans straight from the grill. 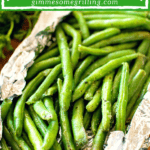 Like I said I tried green beans a few different ways to develop this Grilled Green Beans recipe, but this was the one that I loved and so did my kids. The ones I tried in a foil basket got kind of limp and burnt in areas and I wasn’t pleased with them. My kids wouldn’t touch them because any type of black on something must mean it’s burnt, right? That’s what I entrusted the use of a good old foil (just like this corn on the cob) pack which essentially steams them rather than grills them. So, with that being said you won’t get the “grilled” flavor quite as much since they are in a packet. 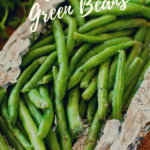 Whether you harvested beans from your garden or bought a bag of cleaned green beans at grocery store, you’re going to love how easy this recipe is! 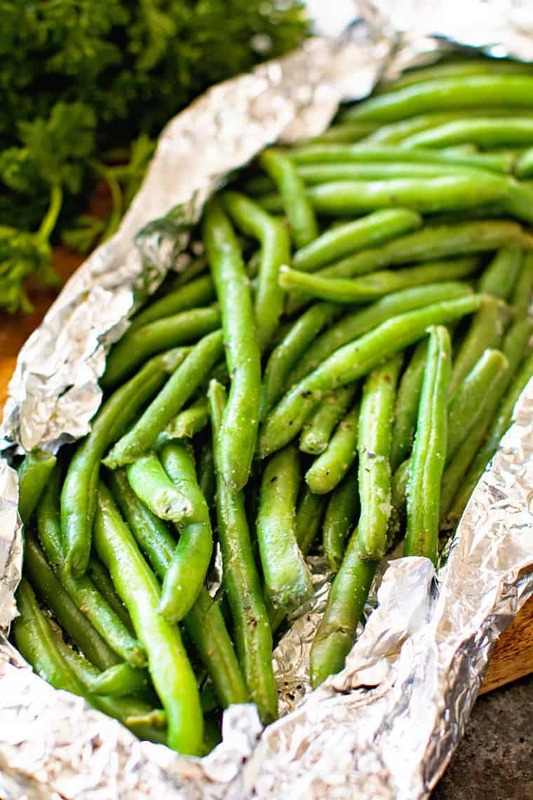 Green Beans are so pretty, a bright vibrant green and on the grill take only minutes to cook. 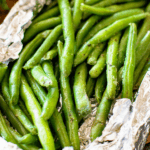 Grilled Green Beans are a terrific side dish that is healthy and delicious! Can you cook green beans on the grill? Absolutely! Foil is the perfect vessel to wrap these in. No worries of beans dropping thru the grates of the grill. 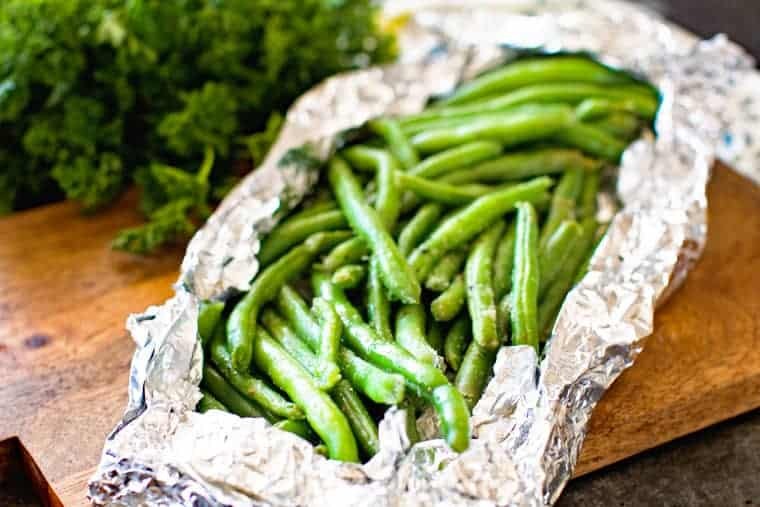 How long do you grill green beans in foil? 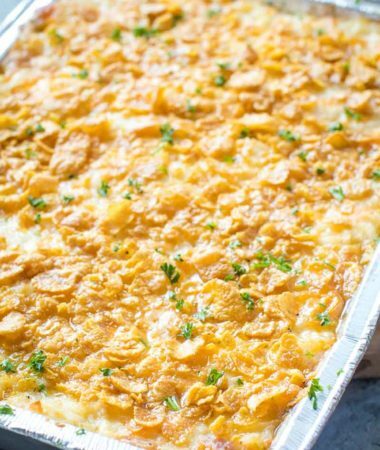 Wrapped in foil and placed over direct heat it only takes about sixteen minutes to perfectly cook this side dish. 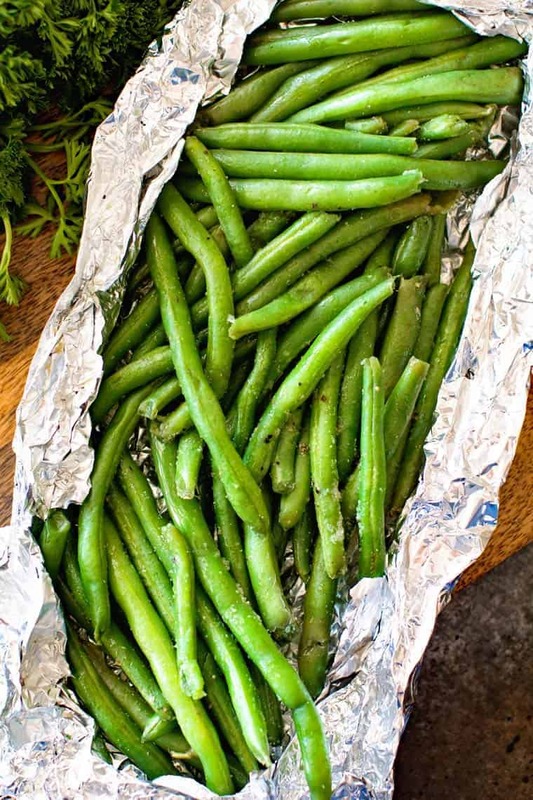 Lay out one piece of foil about 12” x 24” and put the green beans in the middle of the foil, evenly spread out. Fold up ends of the foil to make container so it will hold the water and olive oil. Sprinkle the seasonings over the beans, then drizzle with olive oil and water. Fold the ends of the foil in towards each other to form a packet. Wrap another time with foil to double layer the foil to prevent foil from tearing open. Place foil packet on grill over direct medium heat. Cook with lid closed for 8 minutes. Flip the foil packet over and cook an additional 8 minutes. Carefully open the bag and check a bean from the middle of the pile to test if it’s done. 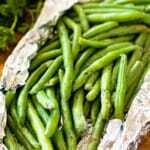 More great recipes for green beans?!!! Serve up this quick easy side dish alongside Southwestern Pork Chops – a great combination and tasty meal! 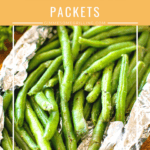 Green beans are readily available no matter where you live and they are affordable year round. I don’t know about you, but I have a hard time not just snacking on them right out of the foil. They are just so bright, fresh and good! Grilling them makes them that much better! If you enjoy grilling your vegetables here are a few more recipes you’ll enjoy! Seasoned Grilled Sweet Potato Wedges • Easy Smoked Vegetables • Grilled Corn on the Cob in Foil – see? No reason to heat up the house, toss them on the grill! 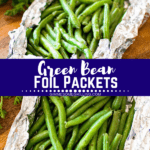 Prepare a clean grill for cooking on medium heat about 350 - 400 degrees F.
Lay out one piece of foil about 12'' x 24'' and put the green beans in the middle of the foil, evenly spread out. Fold up ends of green beans to make a edge to contain water and olive oil. Sprinkle the seasonings over the beans, then drizzle with olive oil and water. Fold the ends of the foil in towards each other to form a packet. Wrap another time with foil to double layer the foil to prevent foil from tearing open. Place foil packet on grill over direct medium heat. Cook with lid closed for 8 minutes. Flip the foil packet over and cook an additional 8 minutes. Carefully open the bag and check a bean from the middle of the pile to test if it's done.